This one is for the lady who dislikes bulky bags. 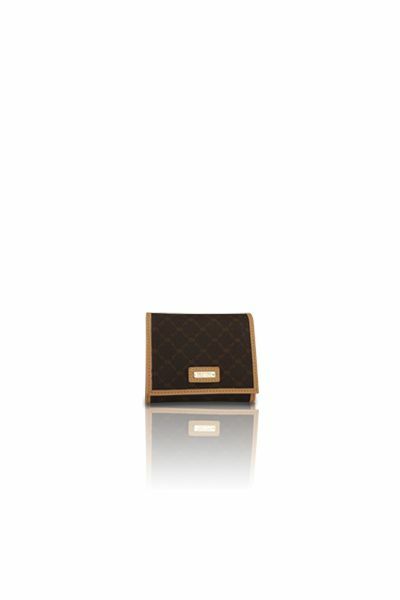 Consists of a gentle dark gold ''RR'' RIONI monogram print on solid brown designer canvas body accented with leather handle and trim. Embossed gold RIONI Moda Italia emblem. Shoulder strap is adjustable to ensure fitment is suitable for your needs. Front flap opening entrance. Rear zipper pocket. Coffee brown fabric RIONI monogram print lining. Interior contains two pocket pouches. 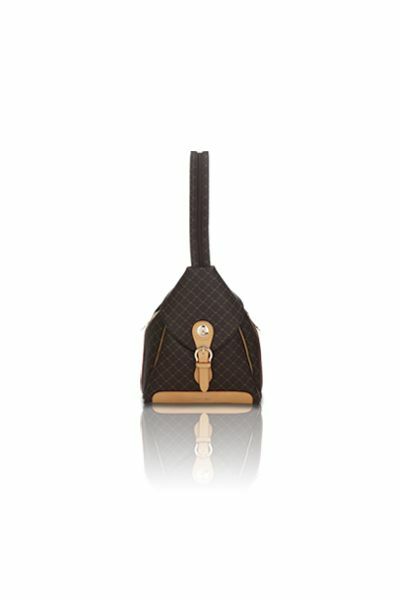 L14 x W1 x H6"
Product: Flap Shoulder Purse was added to cart.